Buy Right provide stylish and contemporary tilt and turn windows for homeowners in Sittingbourne, Chatham and Maidstone. Our smart and functional tilt and turn windows combine attractive aesthetics with leading design functionality. This versatile Liniar window gives you the very best in British engineering. Our tilt and turn windows never fail to impress with their unique tilt and turn function. 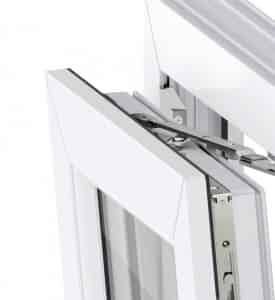 This intelligent opening feature allows the window to be tilted inwards for controlled ventilation. 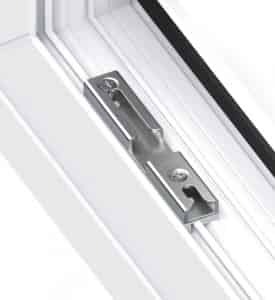 The window also has the advantage of a 90° turning action, giving you safe access to the exterior side of the sash allowing for easy cleaning. The ingenious design provides dual functionality while maintaining a sleek aesthetic through a fully enclosed, integrated gearing mechanism. A single handle controls operation of both tilt and turn functions. A quarter turn of the handle allows the sash to tilt forwards. A further quarter turn then engages the turn function. 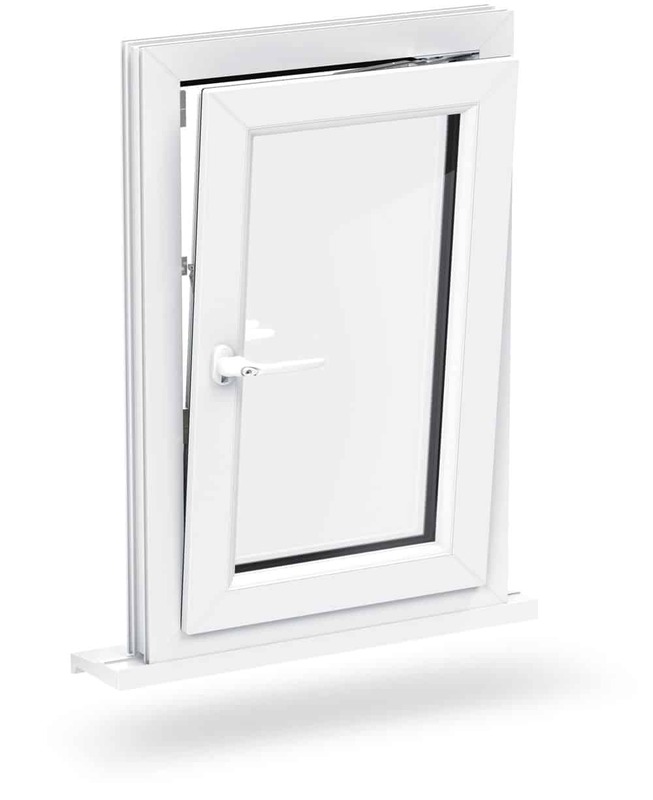 The tilt function gives you safe and secure ventilation making the Liniar tilt and turn window ideal for high rise properties as well as bungalows and ground floor apertures. The tilt and turn window gives you access to fresh air without compromising on your security, or concerns about children or pets exiting. The turn function, when opened, will provide easy access for maintenance along with maximum and rapid ventilation, which is perfect for upper floor windows where outside access may be difficult. This clever opening feature can also act as a means of escape in an emergency and is compliant with Building Regulations. The crisp, slimline profile design combining with a single sash offer a minimalist modern appearance with a larger glazed area. The effect is accentuated when used in broader apertures, opening up any room with unbroken views of the outside. You’ll be able to enjoy more natural sunlight and an increased sense of spaciousness. Our stylish tilt and turn windows are available in a range of high quality colours and finishes to perfectly complement any home in Sittingbourne or Kent. 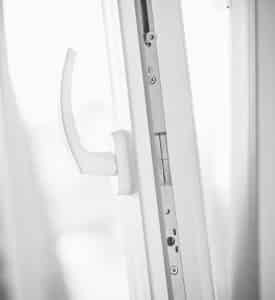 Choose from a variety of hardware accessories that are made to the same high standards to maintain the integrity of your windows. These design option can match both modern and period properties alike. These high performance tilt and turn windows provide an incredible level of thermal insulation. The heat retention of your home is improved to allow you to reduce the energy consumption needed to keep your home warm and cosy. These insulation qualities also work well with sound by reducing external noise, with triple glazing enhancing it further. 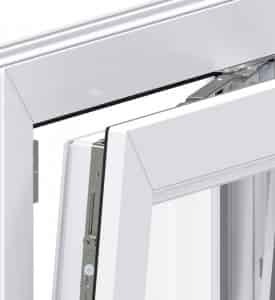 The clever tilt only function serves to provide additional ventilation while maintaining exceptional security. By positioning the window into a tilt only angle, a small opening at the top of the window can be created. This gives you effective yet safe ventilation and allows for a more comfortable home. Meeting UK and EU legislation ahead of time, our Liniar windows are 100% lead-free and are made from eco-friendly materials. This makes our tilt and turn windows better for your home and the environment. Featuring a 100% recyclable profile, our Tilt and Turn Windows are the smartest choice. 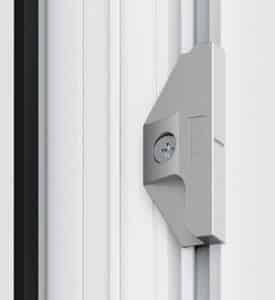 Fitted and approved with the Yale locking system as standard, the tilt and turn Liniar window provides exceptional levels of security. An industry leading manufacturer of highly specified locking systems, Yale locks are the best in the market. All our Yale locks come with a ten year security guarantee. A ‘FerGuar Silver’ surface coating gives you long-term protection against rust and corrosion. Liniar tilt and turn windows are guaranteed not to rot or fade. A continuous rebate gasket provides exceptional weather resistance. Superior gaskets work to reduce the risk of condensation forming. Our tilt and turn windows combine clean, crisp lines and detailing with fully integrated hardware for sleek modern style. Our tilt and turn windows combine style and functionality. Here at Buy Right Windows, we combine quality with affordable prices. To get your tailored quote, please visit our online quoting engine and enter a few details. Our simple to use tool will provide you with a competitive price in moments. If you have any questions then you can use our online contact form to get in touch with our team today. We are happy to help, advise or book an appointment. You can always call us on 01795 427 222 if you prefer.